"Books - and their wonderfully haphazard arrangement - can play as much a role in giving a wall personality as art (not to mention jewelry)." Ahhhh, that window seat is so lovely! I've always wanted a window seat! 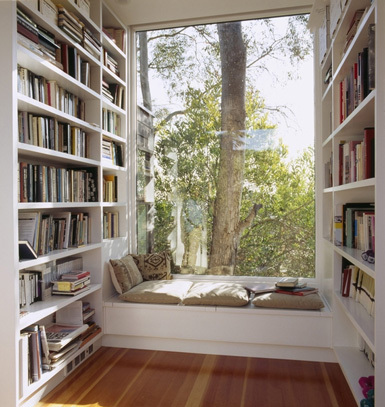 So true, I feel like the space isn't complete without books! I'm slightly obsessed with home libraries and am constantly storing ideas for when we buy our first home (Hopefully this year! 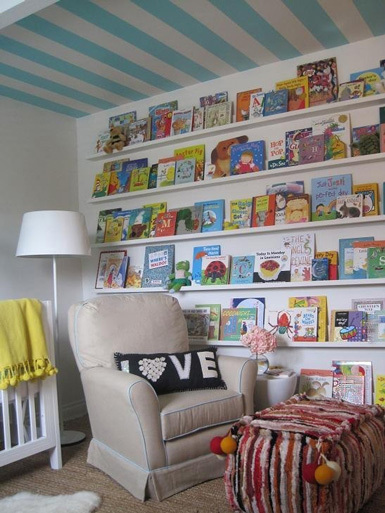 )- I especially love the wall of books for a child's room- how clever! 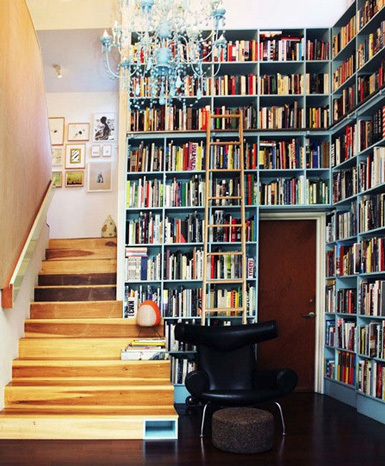 Walls of bookshelves, oh my! I love them. I noticed on my Pinterest boards that I pin them often, in fact the first image in among my favorites. Oh, I love that children's room! I love decorating with books, I have a bookcase full of them and my little trinklets. 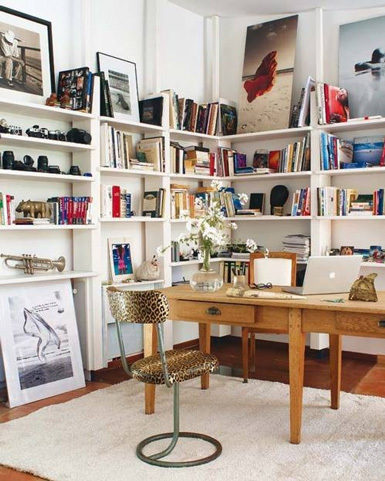 As well as stacks of my favourite design books in the living room with a pot plant or candle on top. I agree.. art and books tell a lot about a person, I loved that office showing both! have a wonderful week! One of the first things I do when I move to a new place or feel like a quick redecorate is to colour code all of my books (I even do it with DVDs!). It it like instant wall art and way easier to find things. 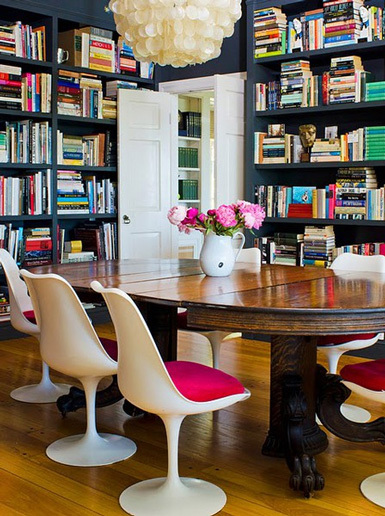 The black floor to ceiling shelves are my favourite. That first picture will be part of my house soon enough!! !